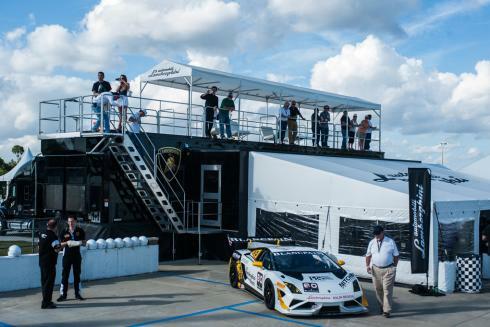 Squadra Corse Program Arrives in the U.S.
Centigrade was tasked with executing the North American expansion of Lamborghini’s Squadra Corse program, Esperienza. Squadra Corse currently encompasses four levels of motorsports: Esperienza, introductory track driving; Academy, advanced driver’s training; Super Trofeo, a dedicated single-make series; and highly competitive GT3 racing. 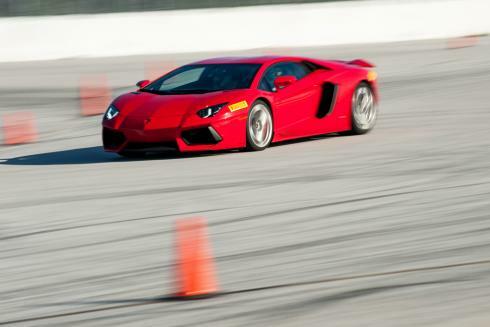 At its root, Lamborghini Esperienza is a sales-focused, full-day driving event consisting of road skills exercises and full-track lapping. 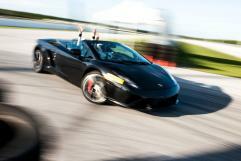 Most of the instructors have raced professionally and even participated in Lamborghini’s Super Trofeo series. The level of detail that Centigrade has introduced to the program really differentiates Esperienza from other track programs. In addition to the fun of driving V10 and V12 Lamborghinis on a race track, these events include some of the best hospitality of any driving program in the world; baked onsite pastries, a full-service espresso bar and a gourmet catered lunch are all staples at Esperienza. Guests also receive unique gifts such as a branded USB that is preloaded with edited photos from their memorable day. All of this is executed within a very distinctive Lamborghini environment. From the time of registration through after the event, each guest is guided through a customized CRM process to make their experience as smooth as possible. A great deal of outreach, pre-planning and precise on-site execution goes into making sure each one of these extraordinary days is achieved. It is a highlight to see the happy looks on the guests’ faces, as well as the sales results for Lamborghini.